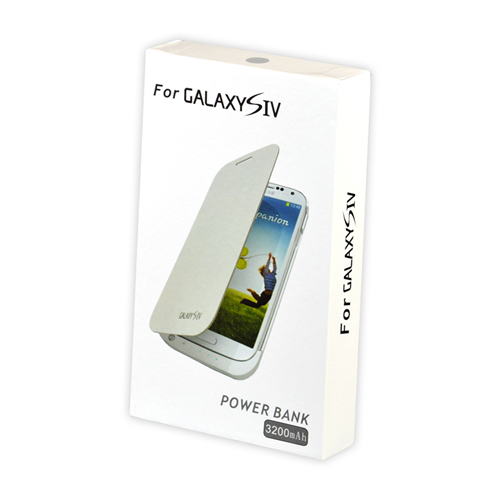 White Battery Case for Samsung Galaxy S4. 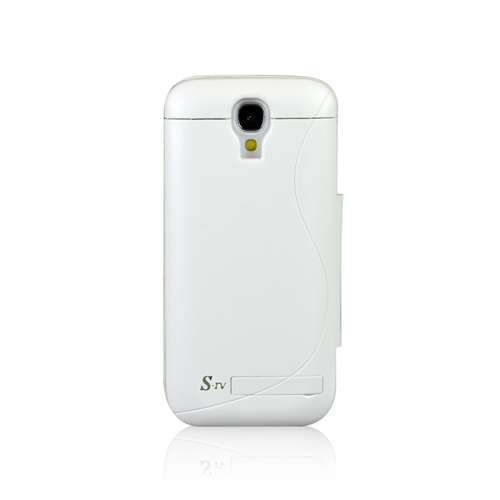 Charges your device without the need of a power outlet to provide that much needed charge while on the go. 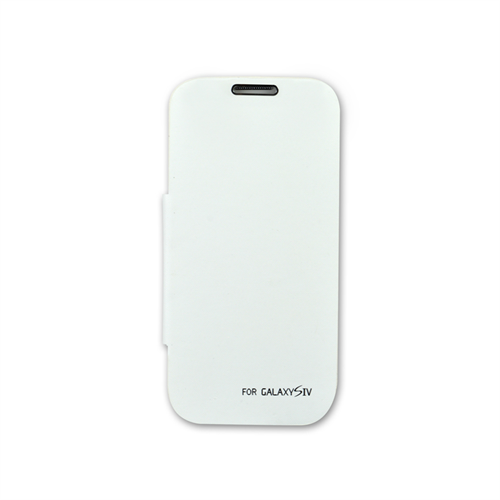 Besides charging your&nbsp;device, the&nbsp;battery case&nbsp; functions as a stylish and dependable&nbsp;flip cover and stand. 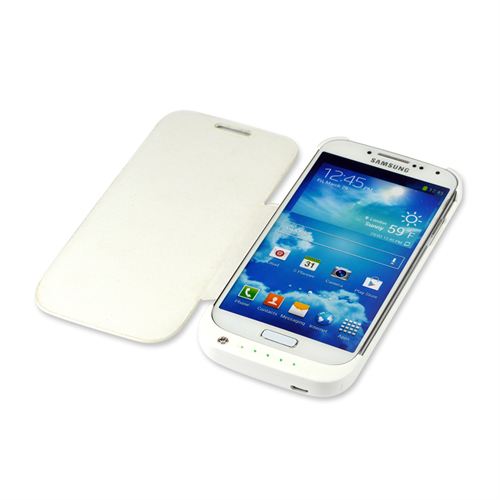 -- Libratel Inc.
White Battery Case for Samsung Galaxy S4. Charges your device without the need of a power outlet to provide that much needed charge while on the go. 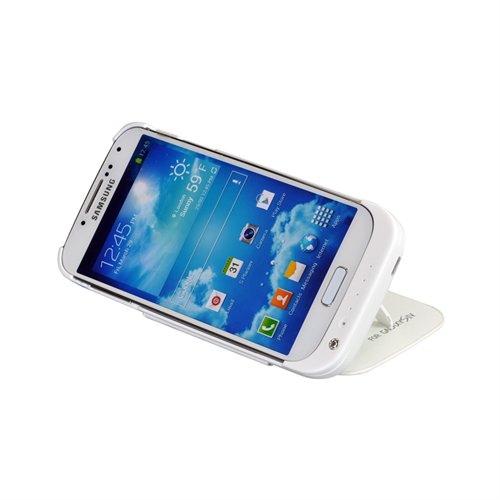 Besides charging your device, the battery case functions as a stylish and dependable flip cover and stand.